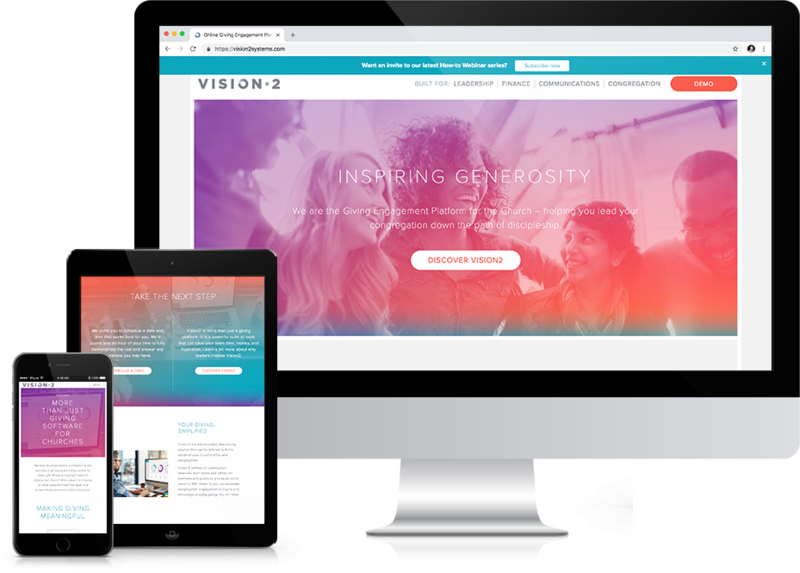 Vision2 is an online giving platform helping churches grow their discipleship. Their mission: to inspire congregations and increase giving through a uniquely branded, engaging, and seamless digital experience. 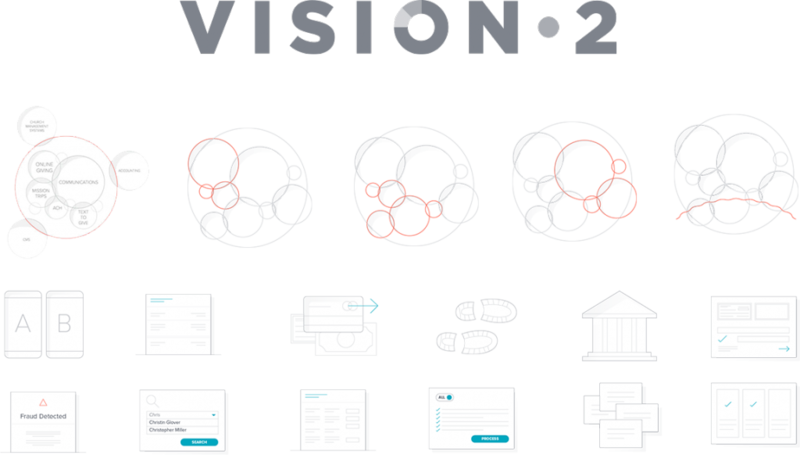 Our mission: to redesign Vision2’s site; creating an online presence that mirrors the clean, user-friendly feel of their own system. 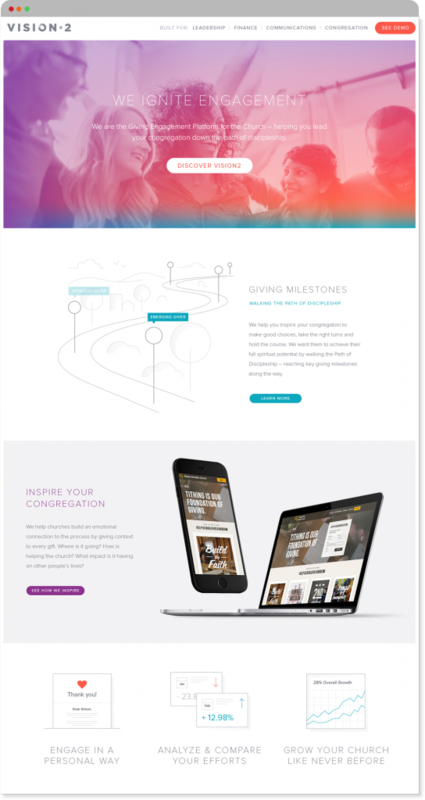 Cypress North and Chris Vogel Design worked closely with the Vision2 team to develop a site with modern, mobile-first design and custom iconography that highlighted the value in each unique feature of their software suite. 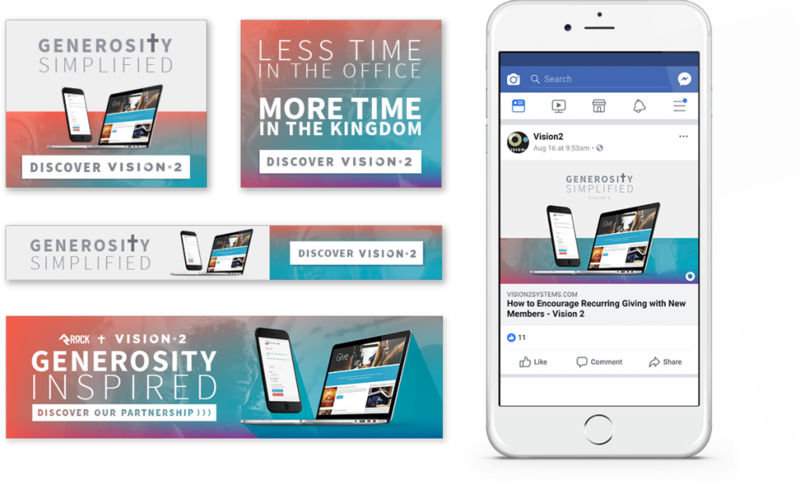 Following Vision2’s new brand standards, Cypress North designed multiple social and display ads for use as both remarketing and prospecting on partner sites. Combining tailored messaging with various calls to action, the team incorporated branded colors and fonts to create a familiar ad experience across the web.